Cleaning up the house is one of those things that no one wants to do, but - unless you want to live in your clutter, it must be done, and you will feel better when it is over! 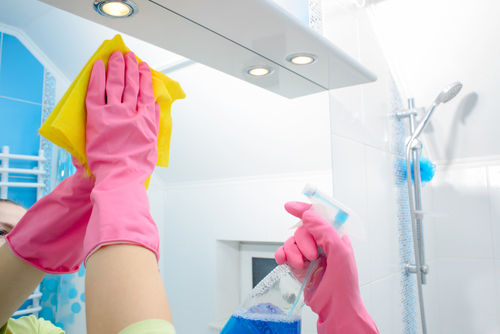 House cleaning tips can make this job easier for everyone. You do not want to live in a shabby house, but you do not want to exert too much on cleaning the dirt either. However, if you plan the house cleaning, then it can become the lot easier and effective too. The first and foremost thing is to develop a well chalked out plan. You can write down everything including the places and things that need to be cleaned, the time involved in that, and how you will approach. Take the tour of the house for getting a better perspective of the whole house and create a checklist of the areas that need to be cleaned. Well, doing the cleaning on paper first will surely help you to optimize the whole cleaning process. And, planning will also give you a sense of purpose. You need to check the inventory. You would not like to waste your time shopping for the cleansing agent only because it exhausted in the middle of the cleaning. Additionally, you can purchase the required items while coming from office or work if you know the requirements beforehand. It helps to fragment the entire cleaning in small executable parts. For example, you can clean the bedroom on Monday, kitchen on Tuesday and so on Also, you must ensure that once you start a particular part, you finish it that day only. Achieving the task will keep you motivated for the next step. You will never have good results if you start with the negative mindset. Well, cleaning is, of course, not the best of jobs but you must try to enjoy it Try to wear loose and comfortable clothes, play some foot tapping music, and assign your rewards on completion of every task. The reward will keep you hooked and motivated. 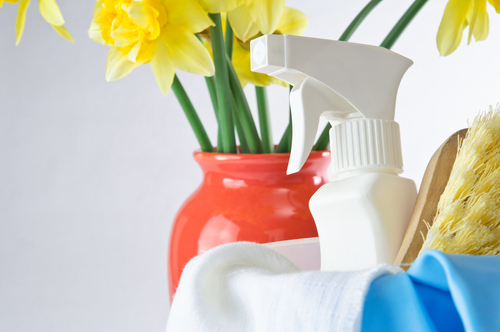 Acquire the Right Cleaning Products. Having the right tools and equipment in cleaning will help ease your job. Don't buy substandard and cheap products just because they are being advertised on TV because you are not sure if they are reliable and durable. Instead, go for quality items that are sure to go a long way as you are going to use them regularly. Pick commercial cleaning services that use environment-friendly cleaning materials. Try to involve your family members in cleaning the house as it can be faster to finish the task if you do that It can also be more fun, enjoyable, and fulfilling if everyone participates. Besides, your children will be more responsible and hesitant in messing up your house as they have been part of the cleaning team. These tips will surely increase your output and implement them does not take any additional time Remember to take house cleaning as a challenge, and the prize for winning is a nice looking and organized home. 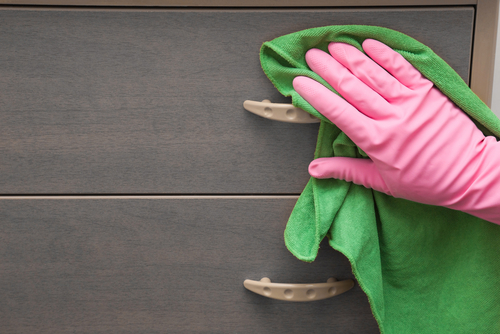 One of the biggest time wasters has to run around your house getting your cleaning resources or whatever else you'll require to be able to carry out your task. Accumulate your cleaning materials in just one basket. This may be one of the house cleaning ideas that hit the house with lots of folks. Planning to clean with the help of clothes and towels onto the ground, magazines piled-up or perhaps dishes just about everywhere can be annoying at best. Conduct an effective pick-up and also ensure that it is an aim that this particular year you might be home totally free of mess. Always Keep Things Uncomplicated And Thus Cleaning Would Be Easier. Stick to a single illustrated book over your coffee table, for example, as an alternative to an arrangement of figurines. The first one may be quicker to dirt and also always maintain neat and tidy, to make your job to completely clean, hassle-free. To Remove Grime And Dirt From Any Room Or Living Area, Begin By Dusting Up High. This can make loose dirt to drop onto lower surfaces, giving you a second chance to extensively clean it up when you dust the lower surfaces. Never stir up any dirt or even flick that in the surroundings; wipe it off with extended strokes if you can and additionally always keep that in your dust cloth. We all like to utilize cloth diapers regarding dusting, and also many of us shake them out consistently outside of the house to prevent releasing the dust back inside the air within our residence. Dust and get rid of anything from the top of any horizontal surface and after that dust the surface itself. Lastly, Fold plenty of clean trash liners and then locate them towards the base of your container to make rapid work of this task very next time.